It's like stepping back in time to the 1890's when you enter the Hotel Strasburg in historic Strasburg, Virginia, the oldest settlement in the Shenandoah Valley and the home of the state's largest antiques emporium. Nestled at the foot of Massanutten Mountain near the entrance to Skyline Drive, Hotel Strasburg is tastefully decorated with many antique period pieces of furniture and an impressive collection of art. Guests are invited to wander through the inn's dining rooms and quaintly renovated sleeping rooms (Jacuzzi Suites). The hotel was built in 1895 as a hospital. 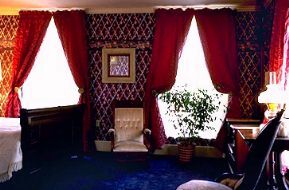 It has been completely and authentically renovated to offer guests the essence of 1890's Victorian hospitality. Also famous for its food, the dining rooms feature continental cuisine served with southern hospitality. In addition to the Strasburg Emporium of antiques, other area highlights include Hupp's Hill Battlefield Park, Belle Grove Plantation, Wayside Theatre, Shenandoah National Forest, Skyline Drive, Half Moon Beach and the Strasburg Museum. Activities include golfing and canoeing. 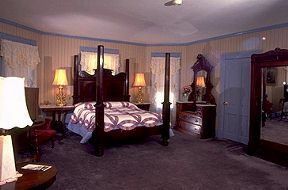 This and other Strasburg Virginia Hotels and Inns can be found here in The Register.